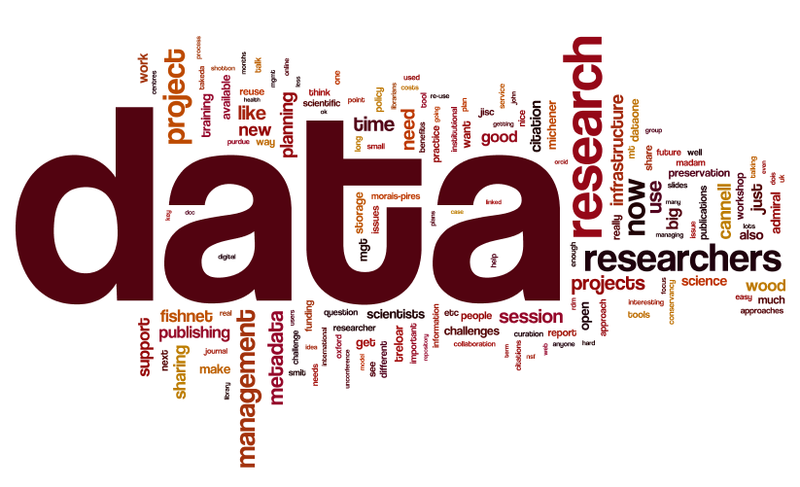 Organizations collect, process and report on large amount of data. Organizations need to find effective and efficient ways to transform their data into usable information. An important thing is to make the difference between Data, Information and Knowledge. Data is the raw facts, figures and statistics, whereas Information is data that is accurate and timely; specific and organised for a purpose. Information is presented within a context that gives it meaning and relevance. Data can be used to measure or record a wide range of business activities – both internal and external. While the data itself may not be very informative, it is the basis for all reporting. Data becomes information after it has been processed to add meaning, relevance and purpose. Knowledge is a set of beliefs based on the relationship between pieces of information. Knowledge is derived from extensive amounts of experience dealing with information on a subject. The ability to collect and analyze the data is very important to businesses. Changing business environment requires companies to be able to react quickly to changing demands from customers. Managers may need to understand large amount of data before they can make the important and crucial decisions. Every business needs to understand the behavior of their clients and customers and the activity of their competitors to be able to make informed and efficient decisions. By monitoring data on sales, buying trends and competitor activity, one can make guess to ensure that the business operates more efficiently. Boosting your marketing strategies With customer data, businesses can now create innovative, more personal campaign ideas based around their customers’ attributes. Customer related data can be collected from social media. The power of data for a predictive business Data that is mined for repeated patterns can help in future by highlighting trends and problem areas. It is possible to address these areas with more efficient customer service processes, pricing and products, management of staff and even detection of fraud. Enhancing customer experience with personalisation With Detailed data on your customer behavior, business can better tailor the customer experience. For example Ebay uses browsing history, wish lists and purchase history to create individual product suggestions for their customers. Making data-driven decisions when forecasting Key decision makers in a business can use data to develop reliable, more effective business strategies both internally and externally. According to a Helical IT survey, if a decision is made relying on data rather than pure intuition, the chances of succeeding are 79% higher. Sources of data for organizations are frequently changing and growing. Unlike traditional data mining, organizations are now able to collect data from a range of different sources. Social media: Websites such as Facebook, Twitter and LinkedIn provide data on age, gender and location, so if your business is active on these network you can use those data. For example, On Facebook you can monitor likes, comments, clicks and shares of content posted – all of these factors are a good source of customer feedback. Social media platforms are changing the marketing landscape by providing analytics for companies to measure success (or failure) of company. In the business world, product and market data provides a competitive edge. Online Customer engagement: Track potential customers’ interaction with your website. Google analytics is a popular and free source for collecting this kind of data. Transactional data: This data comes from web payment transactions, customer relationship management (CRM) systems and your general ledger data. This will give insights such as how much customers are spending per transaction. Using this data one can make more efficient decisions and thus making business productive. Not having a data collection process that is set up specifically for a company results in countless lost hours by management people. An appropriate system will help display data that is collected from all different areas of an organization so a manager can easily identify problems across all aspects of the organization. The data collected should be displayed in an effective dashboard with specific Key Performance Indicators. It can be shown as graphs or charts. ProWebScraping is an IT company that provides custom-built, web-based systems for business. Be it Data Research, web scraping, ETL process, price monitoring portal or business intelligence system, we look to capture business processes and systematize them to leverage your business. As part of this process, we can look to harness real-time data to provide dashboards and summaries presenting information about key aspects of the business. Using this timely information, you can then implement business processes to assist in making decisions based on timely information. For more information about how we can be helpful, or to discuss your project requirements, please Contact Us.